We are called to hunt. We watch the morning sky’s eastern light erase the nighttime stars. We earnestly listen for the deep bass of dead branches cracking on the forest floor. Our hearts accelerate and smile from the pungent odor of our nearby quarry. Our off-season is spent reminiscing about past hunts, refining our skills for next season, and anticipating the trophies to come. Our passion for becoming better hunters drove us to engineer the ideal broadhead; a premium broadhead as reliable as science allows. Bill with one of his first Wisconsin whitetails. It all started with family for Bill Vanderheyden, our Co-Founder and Lead Engineer. His grandfather and father had long been telling of the adventure to be found from within the Wisconsin woodland. Many deer and intriguing stories had come home from those adventures. Then, at age 15, he stepped into the chronicles by taking his first buck, and was forever hooked. Bill’s love of the outdoors paralleled his affinity for math and science, especially physics, which led him to become a mechanical engineer. He strove to be the best and graduated number one of 1232 at the University of Wisconsin’s College of Engineering with a perfect 4.0 GPA. Soon after graduating, he began working in the high tech industry on product development and became experienced in state-of-the-art engineering methods and tools, including 3D modeling, structural analysis, materials engineering, hydrodynamics, and shock and vibration testing. 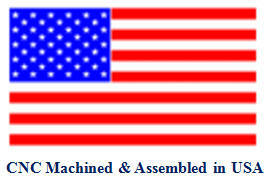 He has earned a total of 50 patents throughout his career. All the while, his passion for the outdoors continued to grow, with ever more time spent hunting and exploring remote locales. 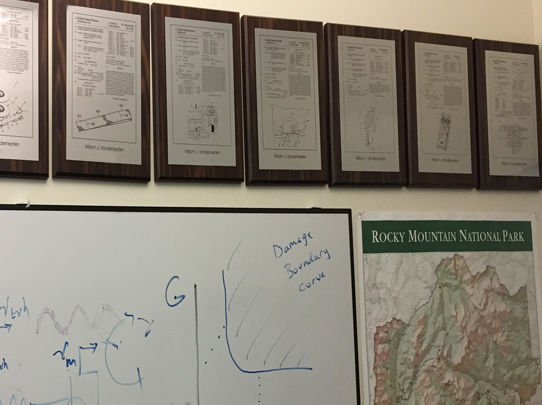 Patent plaques, whiteboard calculations, and plans for the next adventure. Bill searching for success in a 2003 backcountry elk hunt. 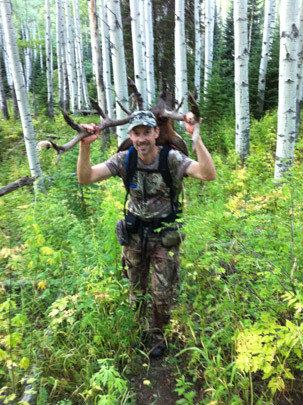 Since moving to Colorado in 1999, Bill began supplementing his whitetail hunts with backcountry elk hunts. Finally, in 2004, after many years of hard work with no payoff, it all came together and he shot a nice bull. Dreadfully, the broadhead apparently hit the back edge of the shoulder blade and penetrated only a few inches. After days of searching and contemplating what had gone wrong, that bull was never recovered. With all the time and effort put into earning the opportunity for a shot, the loss was devastating. 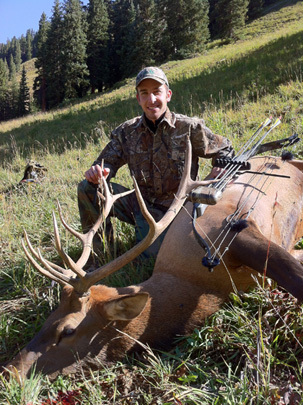 He resolved to do what was necessary to become a successful archery elk hunter and utilize his engineering skillset to find the best broadhead. The pursuit began by analyzing the physics behind every aspect of the shot and reading scientific studies. Current broadhead offerings were researched, purchased, and thoroughly tested. Bill was looking for a broadhead that would achieve maximum penetration, pass through bone undamaged, maintain a razor sharp edge, and fly great at long distances. Every broadhead tested fell short in one or more of these areas. Frustrated with the offerings, he decided to engineer his own broadhead. This started the seven year process of designing, analyzing, prototyping, testing, and iterating on the design. Friends and family took over 50 animals while field testing the iterations, providing valuable feedback along the way. Bill's brother Tim played a particularly large role in early testing, taking nearly 25 animals through the iterations. Along with the field tests, 3D modeling, computer simulations, materials testing, impact testing, and high speed camera analysis were all utilized. As the broadhead design was being refined, elk hunting become an obsession. To increase opportunity during archery season, he worked on mountain fitness and shooting skills nearly daily. This effort culminated in 2014 and 2015 when he took back-to-back six point bull elk in Colorado’s backcountry. The relentless pursuit for archery elk success and development of the ultimate large game broadhead came together. The penetration, long range shooting, edge holding ability, and strength were all optimized, creating the ideal broadhead to maximize every bow hunting opportunity. Bill contemplating his next move in the Colorado high country. Eric in the middle of a morning to remember. Bill's all smiles at the start of his 2014 pack out! I (Eric Whiting, Co-Founder) met Bill in 2012 while elk hunting in a high wilderness basin. A couple hours after we met, while feeling a bit discouraged from the extra hunter presence, and within 100 yards of the matted down grass his tent covered the night before, I shot my first bull elk. With some clacking rocks and the whoosh of an arrow, that morning quickly turned into one I'll never forget (but that's another story)! We stayed in touch and hunted together for the first time in 2014. On a five day hunt, we both took bulls and helped each other with brutal seven mile pack outs, solidifying our friendship. Impressed with his broadhead’s devastating performance, coupled with my marketing background, we decided to expand the partnership. We resolved to make his broadhead available to other bow hunters that share our passion and expect their equipment to work as hard as they do. Staying true to his original pursuit of creating the ideal broadhead, we committed to always choosing optimal design and materials, regardless of cost. We chose to name our company Iron Will Outfitters because of Bill’s relentless quest for the ideal broadhead and because of the individual resolve bow hunters must possess to earn the opportunity for a shot. We believe that every hunt is a once-in-a-lifetime experience. When the time comes to complete the shot, make the most of the opportunity by choosing broadheads that are as reliable as science allows. Interested in learning more about our story, or sharing one of your own? We'd love to hear from you.